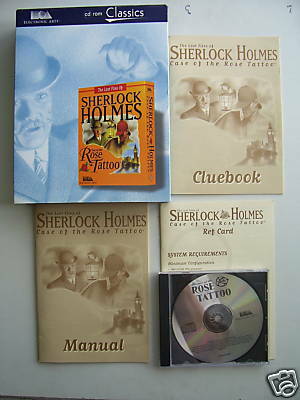 Assume the role of Sherlock Holmes, master detective, in this original mystery adventure. Investigating a highly sensitive case in Victorian England, you will visit over 50 beautiful 3D rendered locations. Clever puzzles and games challenge your wits as you search for clues throughout London and the countryside. Use the point and click lab table to examine the evidence with 7 difference experiments.